I have some new favorite brush pens! I can’t believe I haven’t tried these before. 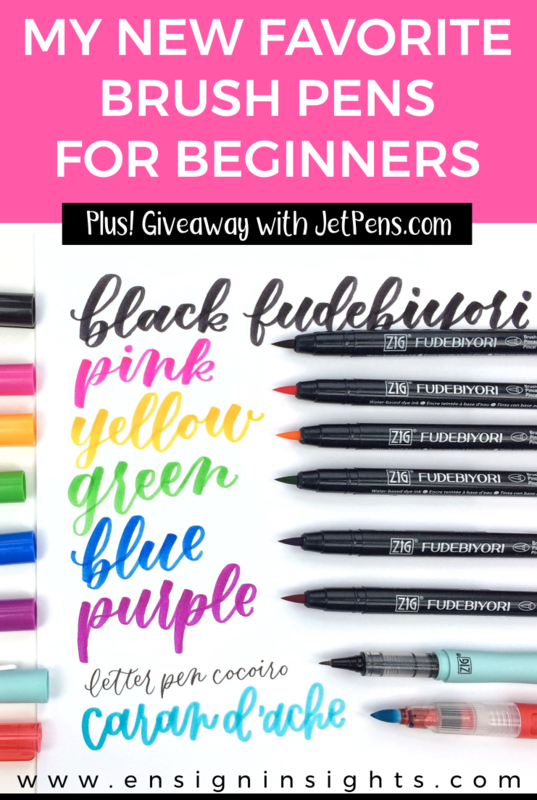 Jetpens.com sent me some brush pens and offered to give away some pens to my followers! So I’ll be holding that giveaway over on my Instagram you can enter if you are reading this before 4/12/18. 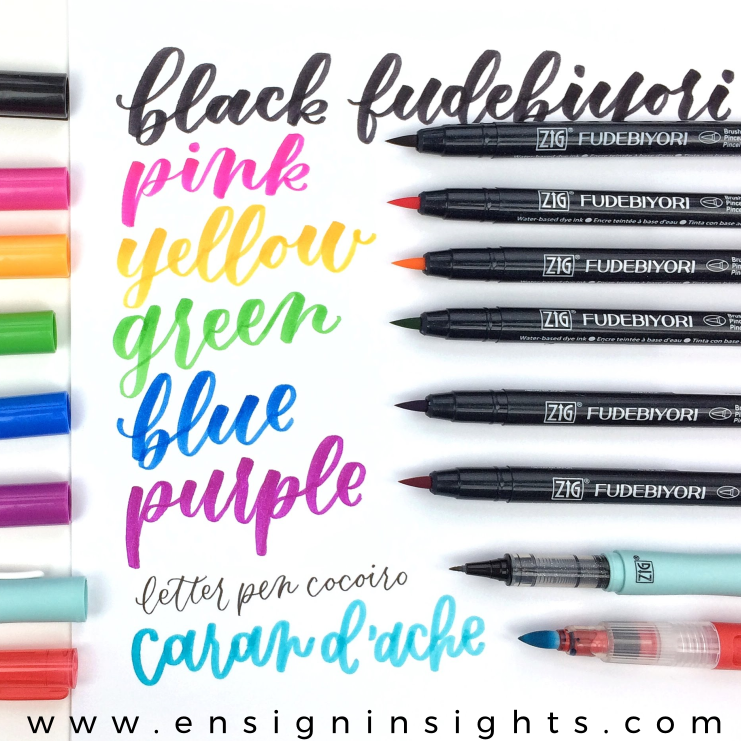 If you want to see my first favorite brush pens for beginners, read my other post here. First of all, I want to talk about Jetpens a little bit. You may know that I am very frugal and always try to find the best price for things. Amazon is normally my best source for pens. However, there are some pens that Amazon doesn’t have or they’re a little more expensive than what I’ve found on Jetpens. What I love most about Jetpens is that they sell individual brushes if you just need one color instead of a set. They also have several brush pen samplers to choose from which is amazing! You can buy a sampler to try several different types and brands so you know which ones you like best. You could also get a sampler of gold pens, pink pens, erasers, etc. It’s pretty cool. They also have lots of office and stationary supplies, not specific to brush pens. I made a video so you can see each of these pens in action. I will also link to them below. These are my new favorite brush pens for beginners! I always used to recommend Artline Stix, but honestly, I think these might be better. 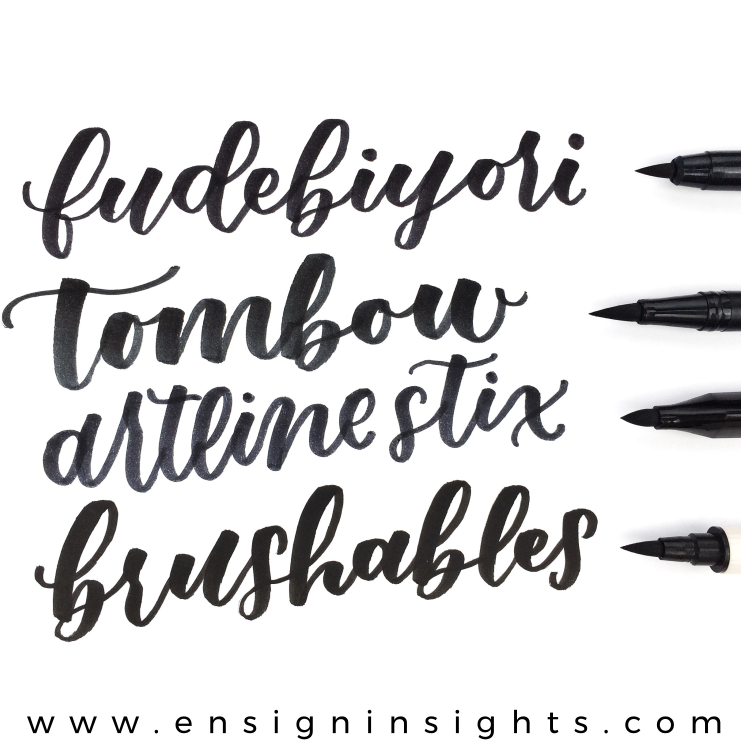 The nib is a medium nib so it’s easier to control, but it’s about as flexible as a Tombow Dual Brush pen. So it’s a great flexible nib that’s easier to control than the Tombow. You can find these individually or in sets on Jetpens.com. And here it is in a pack on Amazon (affiliate link). This was another new one for me and I’m very pleased with it! It reminded me of the Tombow Fude hard nib but a lot smaller which I really liked. I love small lettering so this definitely fits with my style. The pen body comes separately from the Letter Pen refill. I thought that was weird at first but then I saw all the cute colors the pen body comes in and it made me happy to be able to have a fun case for even black pens. 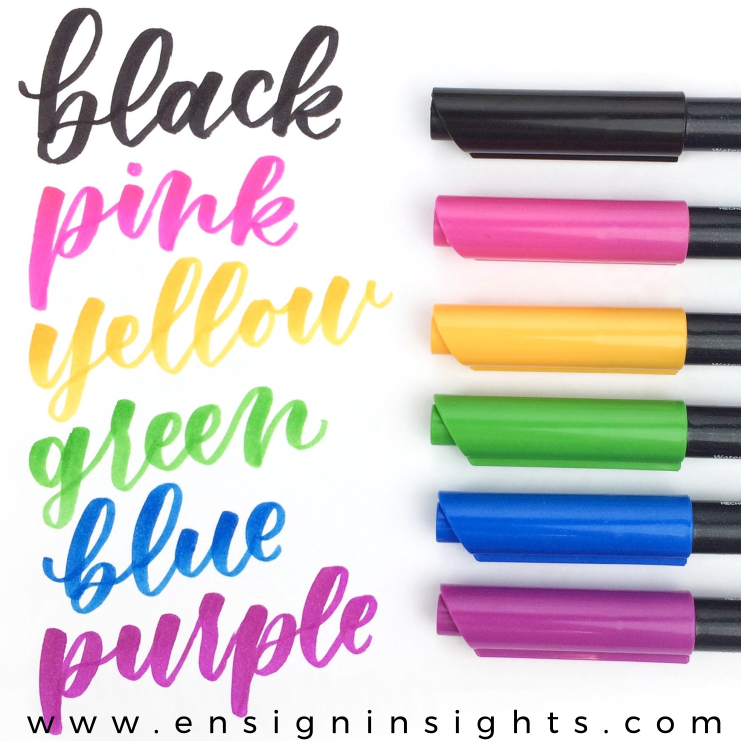 The refill ink comes in lots of different colors. I just have the black but I will probably end up getting more colors because I like it a lot. Cocoiro also has a ballpoint pen and an actual brush style pen. The one I have is called Extra Fine. 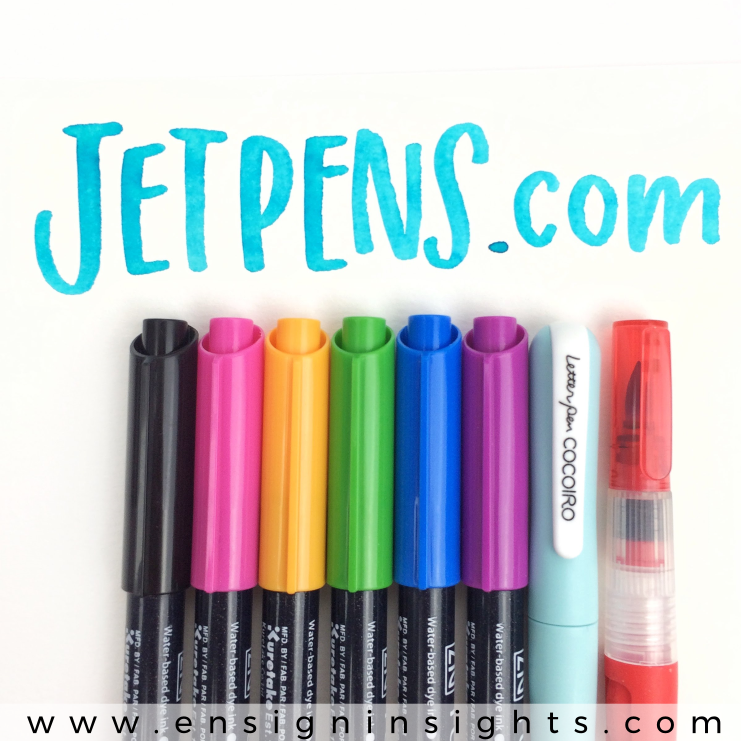 These pens are a lot more expensive on Amazon then on Jetpens so here is the link. I have been wanting to try this waterbrush for a long time! I love monoline pens but I wanted to be able to do monoline with watercolor. If you also love monoline and watercolor, you definitely need to check out this waterbrush. It’s a felt tip instead of an actual brush. It’s more expensive on Amazon which is why it took me so long to get. I love that Jetpens has it individually since it normally comes in a pack with two other regular waterbrushes and I just wanted it by itself. You can find it here. That was a lot of random pens! I hoped you liked seeing these new pens! Have you already tried them? What do you think about them?